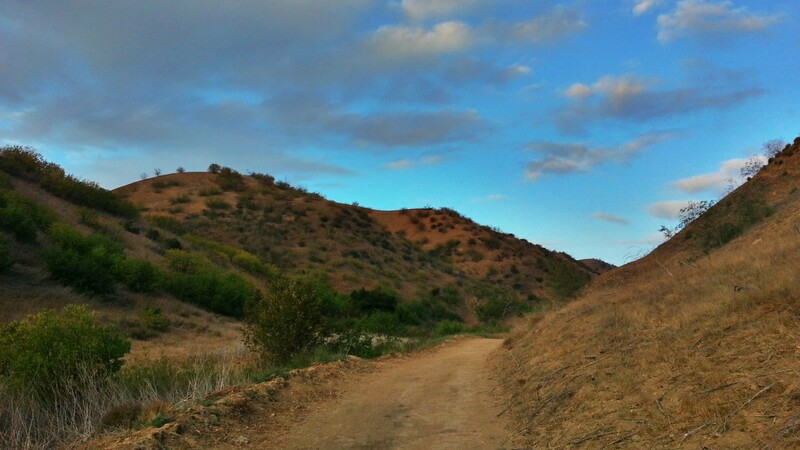 Chino Hills State Park | Trace B. 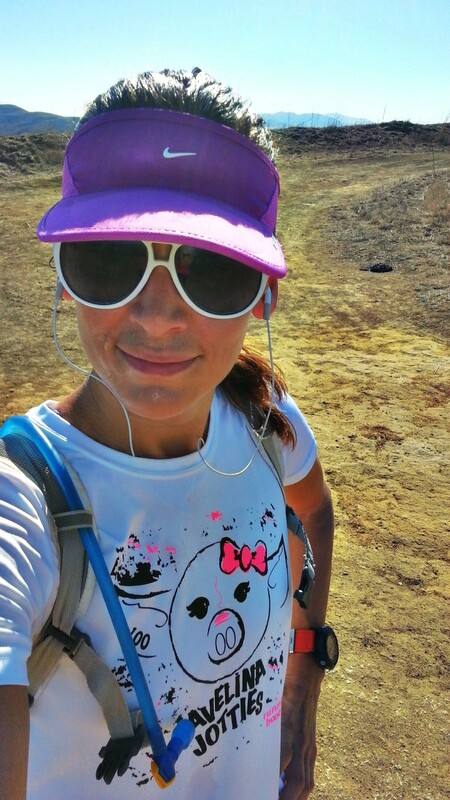 Sporting my Javelina Jundred top that I made last year for some extra motivation. I had a pretty solid week of training last week (69 miles) and now I am partially tapering for Javelina. Following that great week of training, I went for an easy 6-miler with D on Monday at the Santa Ana River Trail and then I didn’t run for the next two days. Part of that was just because I didn’t want to on Tuesday, and then last night I got carried away on some marketing work I recently picked up. Today I had an awesome 12-miler run and if you are following me on Facebook, you would have seen the photos I posted of the Fox and Bobcat that was out there with me. I actually saw a Coyote, a pair of deer, a hummingbird, the fox and then the bobcat, all in that order. The crazy thing about the fox and the bobcat was that they were not even spooked by me and they let me get really close to take photos. The bobcat was less than 5 feet away and it didn’t even run. This run was also a lot of fun because I explored North Ridge Trail a few more miles than normal and found several other trail options that I can explore next time. I remember when I first headed up this trail, I could barely make it up a mile without walking, and now I can practically go the entire way without walking. This particular route I do requires you to go straight up for 4-6 miles depending on where you turn, and then it’s pretty much all down or flat for the rest of the run which I think is a fun way to end the run. My plan is to stay on these trails until I am completely bored out of my mind with them and I don’t really see that happening – mostly because there seems to be a new challenge around every singe trail and turn. The best part about running in this park is that after the hills, not only do I get to run this flat road back to the finish, but the skies are always this blue. So gorgeous!